We supply hybrid POL hens 18 weeks. We started out breeding a couple of breeds of pekins now have over 10 colours along with Golden and Silver Sebrights and Black Tailed and White Japanese, and Quails. We sell hatching eggs and chicks of all different ages. We are DEFRA registered. Our passion is to give our chickens the best possible life and living conditions. We are DEFRA registered and sell hatching eggs and chicks of all ages. I have a small holding, selling eggs for hatching, chicks, pullets point of lay, and cockerels. Please call Anni to find out what's in stock. We've been breeding bantams for over 25 years and have a good stock of unrelated and interesting breeds. Please phone for breed availability. We are poultry enthusiasts on the Dorset/Somerset Border. We can supply hatching eggs and birds from day olds through to Point of Lay. Have a look at our website for current availabililty and photos. We rear all our own stock on site and all hens can be seen. We sell fertile egg, days olds through to 16 weeks. All our hens are fully vaccinated and guaranteed in good health. We do not buy in stock to minimise disease risk. 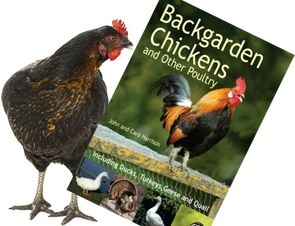 Our passion for keeping chicken has devloped into Chickengear - a family run business specialising in Hybrid POL hens for the back garden keeper. They will give several years of fresh eggs and enjoyment for all the family. We are situated in the Blackmore Vale area of North Dorset near Stalbridge. We supply Hybrid Hens in five colours all year round and also some Pure Breed and Bantams - plus Hatching eggs. Please telephone prior to your visit to check availability.